Mark is an experienced sub-editor and can proof-read or edit copy quickly and accurately. Mark can offer translation services from Thai to English and English to Thai. 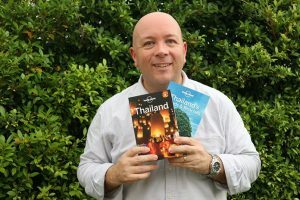 Having travelled widely around Thailand and other parts of Southeast Asia, Mark can offer personalised tours to many areas. Please contact Mark to find out more.